Whether you are buying or selling a business you need support from people you can trust. 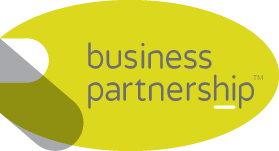 That’s where Business Partnership’s knowledge, professionalism, discretion and trust is invaluable. Our team of skilled and experienced regional partners can support you in making the right choice – for you. Trust – you can trust us to advise and support you in making vital decisions every owner needs to consider before putting a business on the market or seeking to purchase a new business. To book an appointment with the regional partner in your area – see Offices.